The newspapers are awash with analysis of President Donald Trump’s tariff hikes and the subsequent threat by United States Trade Representative (USTR) to pull India to World Trade Organization (WTO) dispute panel for maintaining export subsidies to the tune of $7 billion. The current popular narrative revolves around how the US’s tariff move is bad for the world trade, and why India should stick to the stand of promoting multilateralism in international trade. The arguments are usually sound and include the fact that there is ultimately no winner in a long drawn trade-war. However, it is important to understand and analyse the matter in more depth, as the stand we take now would affect the direction of our industry and trade policies in future. In addition, it is also important that we understand and account for the emerging big picture in order to fine-tune our strategy for future. The pundits and the papers have been almost unanimous in declaring Trump's tariffs economically harmful to the US. However, what they miss is that Trump is trying to do a Reagan of 80s who extracted so-called ‘voluntary export restraints’ (VER) from the exporters to the US. When Reagan went hard on trade and imposed tariffs on a wide range of goods including textiles, automobiles, electronics etc, people warned and recalled the horrors of Smoot-Hawley Act of 1930s, when tariffs destroyed trade and exacerbated the depression. That didn’t stop Reagan from going ahead. While it is debatable if VERs helped the US economy, it did make for a good PR, especially when the agreement with Japan was reached. It paved the way for low resistance towards further globalisation in the next decade when WTO was founded. Today when Trump talks about reciprocal tariff measures and imposes duties on items ranging from washing machines to steel, one needs to factor in the need for Trump to do a good PR on this front. Renegotiating ‘bad’ trade deals has been one of the key planks on which Trump got elected. To that extent any discount that Trump extracts through the noise and actions would make for good PR. Only this time the world might not be ready to accommodate the US, and the US economy might indeed suffer more than it gains. Nevertheless, we should expect the noise to last the term at the least. That brings us to India, as India has started figuring lately in Trump’s trade talks, after China. He has not taken kindly to high tariffs India maintains on some items. A favourite of Trump has been the tariffs India imposes on motorcycles (50 per cent) versus the tariff the US imposes (zero). Despite the recent reduction in duties by India, Trump was not happy. It doesn’t matter that US President’s favourite export product constitutes almost 25 per cent share of India’s motorcycle imports, whereas the US figures at 22nd place in the list of countries to whom India exports the item, with a share of 1 per cent in total (read more for details). Trump quoted the tariffs imposed, called it unfair, and warned about imposing reciprocal tariffs. A few days later USTR came down heavily on India’s alleged exports subsidies and sought consultations. Trump’s rants are less harmful than potential USTR actions. To start with, one may safely ignore Trump’s threat of reciprocal tariffs on countries such as India as it is not easily implementable unless the US decides to violate the principle of most favoured nation (MFN) at WTO. If done, it would lead to unraveling of WTO and the rule-based trade ecosystem that the US has helped build over decades. While the US has undermined WTO in the recent years through measures such as blocking appointment of judges at dispute panels, it is safe to assume for the time being that the US is not willing to break the system completely. This is attested by the fact that when Trump imposed tariffs on steel and aluminum, he used the pretext of ‘national security’ in order to not fall foul with the WTO rules. The USTR’s allegation that India provides export subsidies is partially true as acknowledged by Indian counterparts. Therefore, greater danger lies in the potential actions that USTR may propose if the consultations fail. India needs to be wary about it. The timing couldn’t have been worse given that India’s exports are slowly showing an uptick despite recent shocks to the economy. India has defended the move well so far. Under the agreement on subsidies and countervailing measures (ASCM) of WTO, certain exemptions and remissions are allowed. 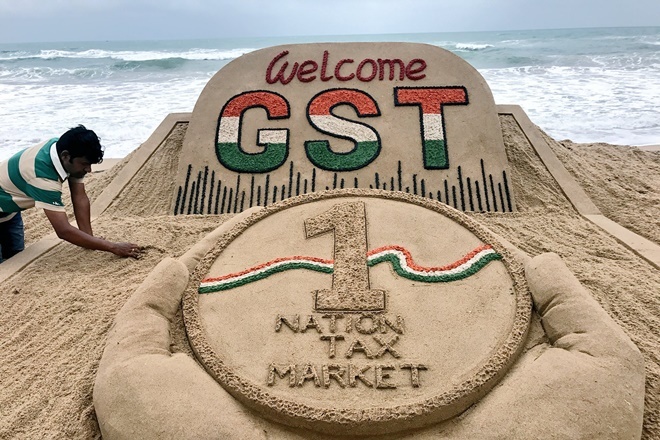 India would easily defend allegations on some of the schemes that she runs for export promotion; especially the ones where the indirect taxes are nullified. Other exemptions such as special economic zones and export-oriented units would take deft to defend by proving that they do not violate the spirit of ASCM. Some schemes such as merchandise export incentive scheme would be difficult to defend in the long run. India was supposed to stop the subsidies once it reaches the GNP per capital level of $1,000 (ASCM Annex to Para 2(a) of Article 27), after 2015. There, India has taken the correct stand that a time of eight years to phase out the subsidies as mentioned under ASCM should be allowed, as allowed for other members at the time of agreement. In the end, it all boils down to the consultation process, and how well it is handled. There is a good likelihood that the consultations might go well and the countries reach an agreed middle ground. However, the allegations should act as a warning for the policymakers in future. In a developing economy context, it is difficult to dictate that governments should stay away from all kinds of subsidies and assistance to industrial growth. The non-actionable subsidies allowed as per ASCM under Article 8 include research and development (R&D) support, generic support to disadvantaged geographical areas, and one-time assistance to comply with new environmental regulations. In addition, indirect tax nullification is allowed as per general rules. Apart from these any kind of direct or indirect support can be quantified under subsidies. Annexure I to ASCM maintains an illustrative list of export subsidies that covers almost everything that the government does in the name of export promotion/industry development, and effectively leaves little flexibility to the government to help the industries. Therefore, the coming years should see industrial and trade policies aligning to these requirements. A good way to move forward would be to let the individual states formulate their export strategies. The individual state level solutions catering to local industries and trade would be more difficult to quantify and countervail. Assistance in the form of alleviating pain areas in industry development through process simplifications, easier documentation, support for integrated logistics infrastructure, R&D support for key sectors and special packages for backward districts would not fall foul with ASCM requirements. Government is already moving in that direction. In addition, it is time India prepares its own team to counter bodies such as USTR. There is a severe manpower crunch when it comes to countering ASCM allegations from other countries. In addition, offense may be best form of defence in trade matters. The team should also research on potential subsidies provided by other countries and launch investigations aggressively. India may do well to groom and train a dedicated sizeable team of hundreds to man these positions. International trade has evolved from being a pastime for economists to being a part of strategic arsenal for a nation. One needs dedicated teams working full time on these matters. Finally, India should continue with the principled stand of multilateralism in international trade. It is heartening to see that India is hosting informal talks for trade ministers and officials from WTO on 19-20 March. While bilateral and regional partnerships may have their charm, there is nothing that matches the WTO in terms of reach and potential. Many a times India has been singled out as being the deal breaker, yet the unwavering faith in multilateralism that India has shown at WTO is not easily matched. WTO’s continued importance is underlined by the fact that despite efforts to dilute the effectiveness of dispute settlement mechanism in the recent years, the US still uses it to settle disputes with other members. WTO has shown the way to accommodate the less endowed members through the special and differential treatment clauses, and more often than not, has helped countries gain through trade. If we keep at it, probably in a decade or so, these years might appear like the Reagan era that ushered in hyper globalisation in the next decades, and today’s discontents. Yesterday, Bibek Debroy commented that it might take around 10 years for the GST to settle down. That might be so, but some effects might start showing quite early. One of the effects I am very keen to see is the effect of computerised invoice matching between suppliers and recipients. This matching should ideally eliminate mis/under invoicing over a period of time as the participants in the value chain realise that compliance is better than the efforts required to maintain informal accounts, and is not commensurate with the risks associated. This effect, I felt all these days, should not take more than two years. Two years should be the rough time period when a new system rolled out at a scale of our country emerges out of the teething troubles. Or so was my hunch. "In terms of magnitudes, the estimates imply that computerization caused the effective tax rate to increase by 4.7% in the short run, 14% in the medium run and 11.7% in the long run, from 4.95 to 5.19-5.65 percentage-points, and explains 14.38% of all VAT revenues during 2001-2007. Thus, the effect on government revenues is sizable." The formalisation of economy is an important side outcome of invoice matching through computerisation. The paper uses a method similar to difference-in-difference (DnD approach was also used recently in our economic survey to isolate the effect of export incentives on textile sector). It appears to me that the study has done a good job at eliminating confounding factors such as economic growth post WTO and sectoral effects. It is a good read and the results seem directly transferable to Indian context. "An interesting question is whether strengthening the VAT information chain had positive spillover effects in the enforcement of other types of taxes. We examine corporate tax payments, which are also reported in our survey data. Table 8, column (1) shows that the interaction coefficients are positive but statistically insignificant. Thus, there is no evidence of positive spillovers. The result on corporate tax is also interesting for another reason – it provides evi- dence against the concern that our main finding that computerization increased VAT is confounded by general improvements in tax enforcement." Did the firms export more to avoid VAT as exports VAT paid is rebated? The papers says that no such effect was statistically present. So the domestic taxation didn't drive the participants to turn exporters. In the end, the simple effect of computerisation (or computerised invoice matching) seems to be that it increased the compliance and tax collection by bringing in more formalisation. That alone would be a significant achievement for GST. Three years are not that long. Mr Debroy should agree. When we talk about electric vehicles, the battery technology that drives it cannot be left out. The success of Tesla stems from the ability to stack rows of Li ions batteries in dense modules that deliver sufficient power to run the car and system auxiliaries. The ability to pack rechargeable dense modules of Li ion will play out in the area of home energy too. The way we envision national grids and power distribution may undergo a paradigm shift with efficient solar modules generating and storing sufficient power in such batteries at individual home and even industrial units. 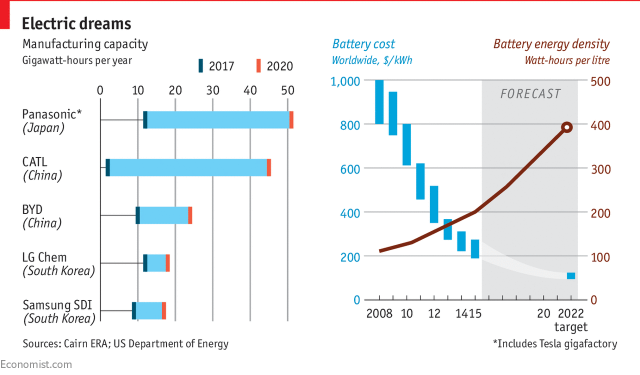 This will accelerate as massive investments bring economies of scale in battery manufacturing consequently making them affordable, and viable alternative to fossil fuels as store of power. If that be so, any national policy that dreams of promotion of electric vehicle and renewables future cannot ignore battery manufacturing sector. The top Gigabattery factories under construction pan from Asia to Europe. It's not only Tesla which is investing heavily in such Gigafactories but all technology, hardware, energy and even mineral digging companies have now got interested. Even countries are waking up to this fact and are trying at policy levels to help attract such investments. Today's news covered the item where British industrialist Sanjeev Gupta is building biggest battery at Australia. 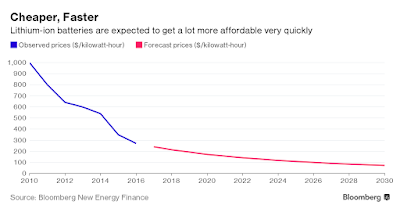 Such battery farms are the important linking chains between renewables and consumption points. And that reminded me that I have not heard about any developments in the area of investments in India since the news item last year that Adani and Reliance are thinking on those lines. 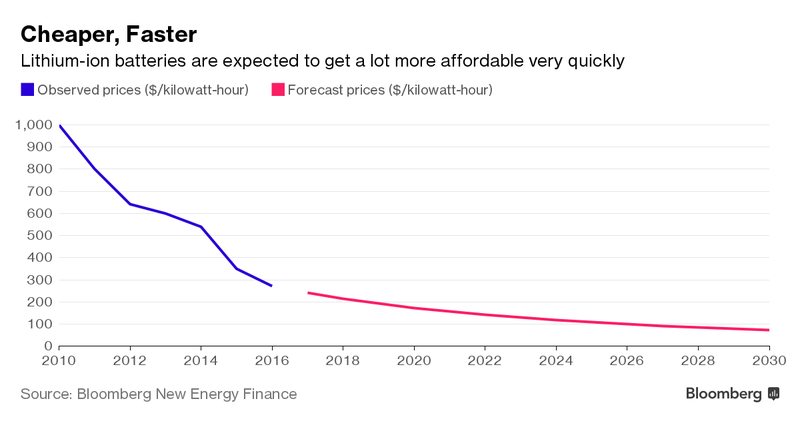 We don't have any gigafactory coming up as of now. The technology itself has not been mastered well here and we are dependent on imports. We need to seriously consider doing something about it in terms of policy push otherwise it would be sad for a country that is emerging as a leader in the area of renewables. This blog usually advocates free trade. However, a cautious approach is advised when it comes to sensitive sectors. Free trade doesn't mean zero tariffs everywhere. The costs and benefits needs to be balanced carefully. For example, when the dairy sector is protected, the milk and milk products might be sold costlier in domestic markets, leading to less consumption of an important source of nourishment in an otherwise poor low protein Indian diet. So it is important to understand the argument from both producers and consumers points of view. India sells milk at a price that is around 1.5 times the price in USA in absolute terms. So when we factor in the affordability (PPP) the figures become worse. Therefore the consumers are at a disadvantage in terms of price at which milk is sold in our country. India maintains steep import barriers to milk and the question is whether it is justifiable in light of the argument in previous paragraph. Gujarat and few other states in India run cooperative dairy model for collection of milk from farmers. This model depends on rural villages coming together to form village cooperatives, which then feed into district level cooperatives, and which uses an apex cooperative body for marketing purposes (GCMMF/AMUL, KMF/Nandini etc). The profits are shared back to the level of last farmer member of the cooperative after all operational expenses are accounted for. However, the above is not the complete picture. 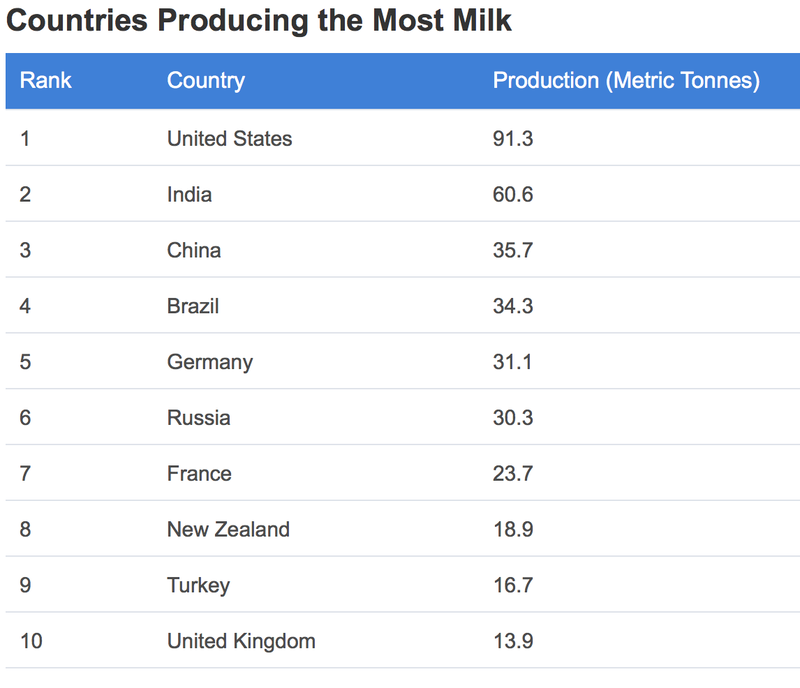 While India produces one of the largest amounts of milk, our share in world trade is quite low and we appear at 36th position in the list of exporters (2016 Comtrade data). In terms of imports, we appear at 94th position (with an imports of around 42 million USD per year), after countries like Latvia and Fiji. 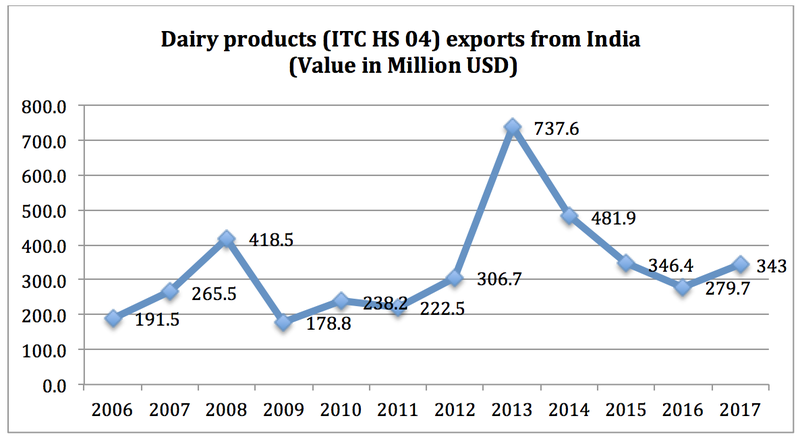 This is explained by the fact that dairy products (under ITC HS chapter 04) are heavily tariffed and the total duty on imports on these products range from 40 to 75%. 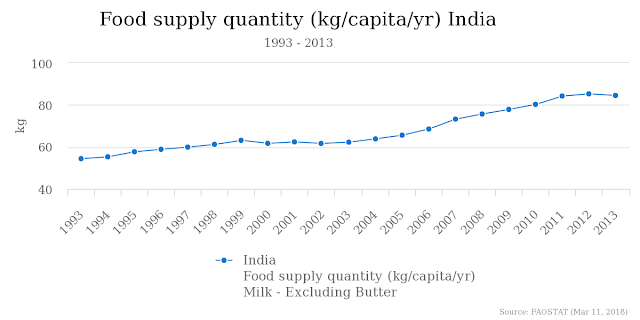 So it's not easy to penetrate Indian dairy produce market from abroad. Apart from tariffs we have various restrictions and quality requirements which might be construed as non tariff barriers. I shall take the example of Gujarat now. As the Gujarat milk cooperative model is well studied, I shall leave the readers at the mercy of Google for further details. I shall focus on one such district cooperative (the 2nd biggest) in Gujarat and explain the operational model. Then I shall zoom out to bigger picture to make the argument. Sabar dairy is the second biggest dairy factory in Asia with a peak processing of around 30 lakh litres of milk per day, after Banaskantha Dairy in neighborhood dist which stands at no. 1 in Asia with a capacity of 60 lakh litres per day. Sabar dairy is one of the 19 district cooperatives dairies in Gujarat under the umbrella marketing brand of AMUL (GCMMF). The Sabarkantha Dist Cooperative Milk Producers Union consists of around 2500 village level societies (11000 such societies across Gujarat) which feed the milk into it. Sabar union owns 20% share in GCMMF. The sabar dairy plant employs around 1300 people on regular basis (including their Ice-cream plant at Rohtak Haryana) and around 4000 on contract basis. They have around 400 milk tankers on hire basis for ferrying milk from collection and chilling stations to dairy plant. The plant works all 3 shifts with varying load. A significant part of the plant is automated, with imported machinaries working along with manual packaging lines. There are around 10 lakh cattle (Buffalos + Cows) in Sabarkantha district as per 2016 census out of which two thirds are usually in milking stage. 8 lakh cattle are RFID tagged and insured. The jurisdiction of Sabar dairy extends to entire district. 80% of the farmers are small farmers owning less than 3 cattle per family. All contributing farmers are members of cooperative society. This way the majority of the rural population is covered by the cooperative. The milk is procured at a price of around 40 Rupees/litre (Buffalo full 6% and above fat) and around Rs 35/litre (Cow, 4-5% fat). The total production and value additon costs make the price of milk go upto Rupees 72/litre on an average. The milk and various derived products are sold at around Rs 90/litre leading to a gain of around Rs 18 per litre of milk bought. The profits generated through the operations are used to support various rural initiatives and support services such as cattle feed plant, veterneriary services (Sabar union employs 120 veterinary doctors across the district), maintenance of chilling units etc. Whatever profits remain are redistributed to village cooperatives, retaining only enough for modernization purposes. Last financial year, Sabar union retained around Rs 18 crore and distributed the rest. The money is being used for procuring machinery and construction of new plant in the nearby premises. The state of Gujarat has more than 11000 village cooperative societies. In a way, a major part of the entire gujarat rural farming sector relies upon this model for alternative source of income. While it is difficult to confirm officially, it is said that this source of income has help avoid rural distress in Gujarat to a great extent. But for this income, the situation of rural Gujarat could have been worse. However, when it comes to per capital consumption (FAO 2013) we appear at 72nd place in the list of countries in terms of whole milk availability and 97th in terms of skimmed milk. That's poverty among plenty especially in a country where sources of nourishment in normal meal is limited. Now, the good thing is that it has improved over last couple of decades (FAO stats) and appears to be stagnating (unfortunately) now. We need more data for later years to derive more insights. Given that our children certainly need more milk (more proteins and more of everything) to get healthier, is it right to maintain such high tariffs on milk imports? Let's say we decrease the tariffs to zero. This might inundate world milk into India. 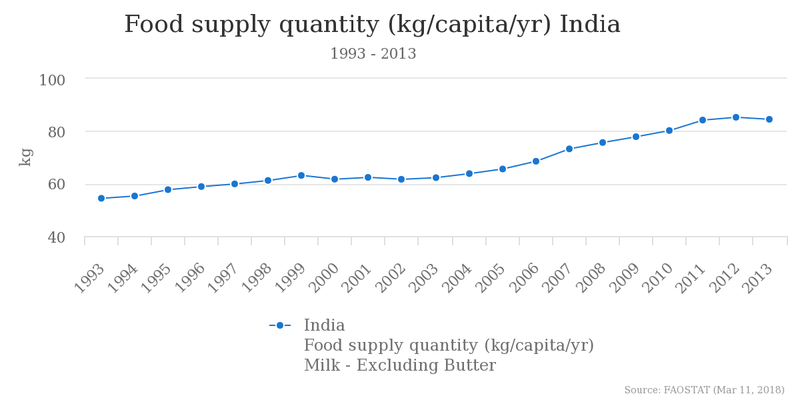 In the process, it would depreciate the prices of milk in India and might dent rural incomes. But then, the amount of depression in milk prices may of the order equal to tariff decrease, that is around 50%. So the milk producing farmer would now get around 25 to 30 Rupees per Kilo of fat milk in place of 40 to 45 earlier. Would this lead to mass rural distress? I doubt. But then, it might just make the cooperative model unworkable. It might be the last pound that breaks the squatters back. I can go on making yada yada blah blah arguments for both sides...but you get the drift. It is a public policy nightmare. The policymaker is stuck between a rock and a hard place. Rural employment vs milk nourishment for children and citizens. The above are the facts. What would you do sir? Would you still advocate free trade with zero tariffs or keep Trumping this sector? And how do you defend it?